In 2016, Fair Trade Campaigns launched a five-year strategic plan. At the core of the plan are mechanisms to dramatically grow our impact and reach by streamlining and strengthening across our programs to accelerate the expansion of the Fair Trade Campaigns network. One of the components of the strategic plan is a focus on ongoing and increasing engagement. We’re exploring ways to set up our campus and community organizers for long-term success and long-term impact. Around the country, campaign organizers are doing amazing work educating their communities and advocating for purchasing choices that change the lives of farmers, workers, and artisans around the world. To amplify that impact, we need to ensure that campaigns remain active and continue growing year over year. One tactic within this strategic pillar is a reevaluation of the designation criteria across our four campaign types (Towns, Colleges & Universities, Schools, and Congregations). In the years since the criteria were developed – over a decade for Fair Trade Towns! – the Fair Trade landscape has seen significant changes. 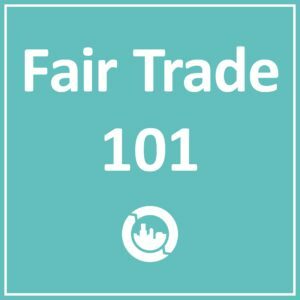 Fair Trade products are much more widely available, and awareness of Fair Trade certification continues to rise. Over the years we’ve also been learning from a diverse network of stakeholders and supporters in the Fair Trade movement, including National Steering Committee members, Fellows, volunteers, and thousands of Fair Trade organizers. Drawing on these insights, and with input and approval from an advisory committee composed of National Steering Committee members, we have arrived at a plan to adjust and strengthen our designation program. Overall, these changes are minor. We see this as affirmation of the strength of the program and the in-depth consultation process undertaken when the criteria were first developed. In most cases, we have chosen to update language to clarify the requirements and to increase cohesion across the four campaign types. In one specific instance, for Fair Trade Congregations, we have added a new goal, Build Your Team. This change serves to align Fair Trade Congregations with the other campaign types and highlights the importance of having a team behind you when undertaking advocacy work. Below, please find the criteria for each of our four campaign types. Additional information on each of these programs can be found at fairtradecampaigns.org/organize. We’re excited for this opportunity to strengthen and streamline our work. We look forward to celebrating new milestones in the months and years ahead as we continue to grow the Fair Trade movement, together. Recruit at least five committee members. Based on the population of your town, a certain number of retail locations must sell at least two Fair Trade products. Based on the population of your town, a certain number of community organizations must serve Fair Trade products. Raise awareness of Fair Trade in your community through educational events and other activities. A minimum of four activities is required to meet this goal. Pass a resolution in support of Fair Trade through your city or town council. Raise awareness of Fair Trade on your campus through educational events and other activities. A minimum of four activities is required to meet this goal. Recruit at least five committee members, including at least two non-students. Raise awareness of Fair Trade at your school through educational events and other activities. A minimum of two activities is required to meet this goal. Make at least two Fair Trade products permanently available at your school. If permanent sourcing is not possible, products must be offered via occasional outlets (bake sales, fundraisers, etc.) at least four times per year. Recruit at least three committee members. Educate members of the congregation about how Fair Trade empowers them to live out their religious tradition. A minimum of four educational events or activities is required to meet this goal. Switch at least two products used by the congregation to Fair Trade options. These adjustments take effect on August 6, 2018. 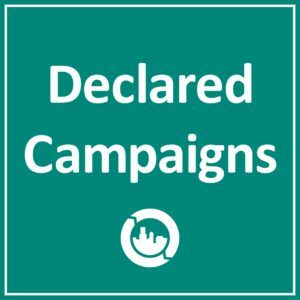 Any campaigns started before that date will maintain their designated status or continue working towards designation with the original criteria. If your campaign would like to use the new goals, we are happy to sup[port that as well! Questions? We’re here to help! Drop us a line at admin@fairtradecampaigns.org.